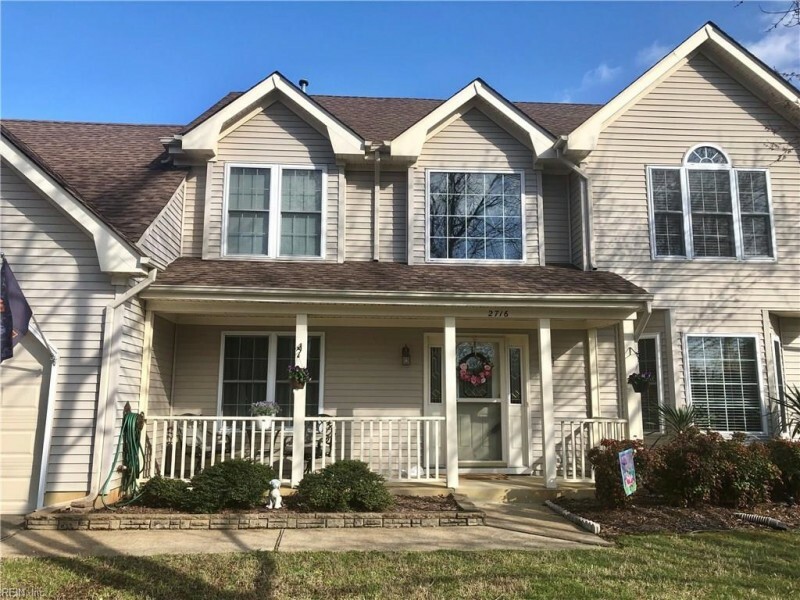 LOCATION LOCATION LOCATION IS JUST PART OF WHAT MAKES THIS 4 BEDROOM HOME SITTING ON LARGE LOT IN THE DESIRABLE KELLAM SCHOOL DIST A MUST SEE FOR YOUR FAMILY! LARGE EAT N KITCHN IS BEAUTIFULLY UPDATED WITH GRANITE CNTERS, CUSTOM CABINTS, SS APPLS & RECESSED LIGHTING PLUS AN ISLAND & PANTRY. THE FAM ROOM WITH GLEAMING WOOD FLOOR AND FIREPLACE FLOWS INTO THE SUNROOM WHICH IS PERFECT FOR MORNING COFFEE, CURLING UP WITH A BOOK OR EVENING WINE! WOOD FIRS CONTINUE INTO THE DINING ROOM FOR FAMILY GATHERINGS & THE FRONT ROOM PERFECT FOR AN OFFICE. LARGE BDRMS AND UPDATED MASTER BATH! THE LARGE LAUNDRY ROOM HAS TONS OF CABINETS/STORAGE PLUS A DOOR TO THE BACKYRD WHICH IS GREAT FOR COMING IN FRM THE POOL! SO, ARE YOU READY FOR ENTERTAINING! THE OVERSIZED YRD FEATURES A POOL WITH EXTENSIVE DECKING OFFERING BUILTN SEATING & BAR AREA PERFECT FOR FRIENDS AND FAMILY FUN! OTHER UPDATES IN LAST 10 YRS INCLUDE ROOF, WATER HTR, AC, AND MORE. CLOSE TO OCEANA/DAM NECK, AMPITHEATER, SHOPPING & BEACHES! OVRSZD 2C GAR. Ready to visit 2716 Esplanade? Request a free property tour! Send me more information about the listing at 2716 Esplanade, Virginia Beach, VA 23456, MLS# 10240026. This 4 bedroom, 3 bathroom home located at 2716 Esplanade, Virginia Beach, VA 23456 has approximately 2,800 square feet. It is currently listed for $395,000 and has a price per sqft of $14,107. This home is currently Under Contract under the MLS#: 10240026. This listing is provided by Wainwright Real Estate. 2716 Esplanade Court, Virginia Beach was built in 1995. It has Garage Att 2 Car, Oversized Gar, Driveway Spc, Street parking.The kitchen includes 220 V Elec, Dishwasher, Disposal, Dryer, Microwave, Elec Range, Refrigerator, Washer. 2716 Esplanade is part of the Foxfire neighborhood located in 23456.